Mike Abrashoff is at the center of one of the most remarkable modern day stories of organizational transformation. 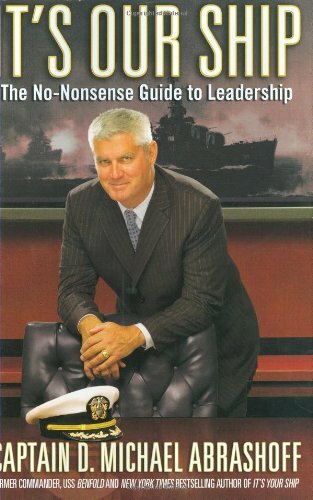 At the age of 36, the Navy selected Mike to become Commander of USS Benfold. At the time he was the most junior commanding officer in the Pacific Fleet – on a ship that was plagued by low morale, high turnover and abysmal performance evaluations. Few thought that the ship could improve - yet 12 months later the ship was ranked #1 in performance – using the same crew. People were amazed and the lesson was clear – leadership matters and culture is everything. In many ways, the USS Benfold was actually an extreme example of the same problems facing many organizations today. That’s why dozens of publications including The Wall Street Journal and Fast Company have cited Mike’s story as an inspiring lesson for business. Leaders especially identify with Mike’s being accountable for the results in an environment where he couldn’t make the rules. 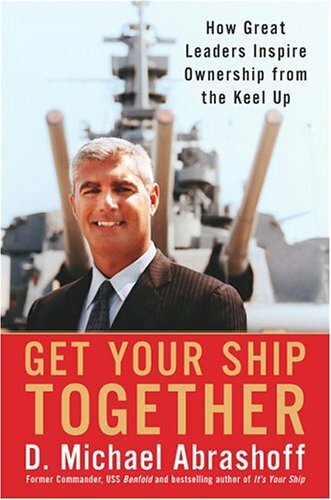 Gail Davis: Mike Abrashoff took command of the worst performing ship in the Navy's Pacific fleet. 12 months later it was the best ship in the entire Navy, using the same crew. How? Well the transformation began when Abrashoff [00:01:00] was working to see the ship through the eyes of his crew and learning to lead differently. Many leadership lessons that he learned were heralded in the Harvard Business Review and Fast Company. Dozens of publications have cited Abrashoff's tale as an inspiring lesson for businesses. Leaders identify with his story of being accountable for the results in an environment where they don't make the rules. He wrestled with an extreme version of the management challenges businesses [00:01:30] face today and he won. Welcome to today's episode of GDA Podcast Mike Abrashoff. Kyle Davis: Hey Mike. How are you? Mike Abrashoff: Doing great Kyle. How are you doing? And Gail. Kyle Davis: I'm living the dream, one day at a time. Gail Davis: Oh, I am so excited to have you on here Mike. I've known you for years and I've been in your audience. I love your book and I just think it'll be really interesting to dive into this. Maybe for the people that haven't had the benefit of being in your [00:02:00] audience you could just give a brief version of your background with the Navy and what happened on the Benfold. Mike Abrashoff: Sure. I get command of the destroyer and it was one of our newest but it was also one of our poorest performers. It wasn't the technology that was keeping them from being the best, the crew wasn't engaged. I didn't get to choose our missions. I didn't get to change anybody out. I couldn't choose my crew. I couldn't [00:02:30] go back and ask for more money. What I decided to do was to change my leadership style and connect with them and then empower them to take ownership of their ship. What happened was, they turned their own ship around and in 15 months we got the trophy for being the best ship in the Pacific fleet. In years three and four after I left, Benfold got the award for best ship in the entire US Navy. One of the things that we all struggle with in business, [00:03:00] and in government, is how to create something that is sustainable for the long term. I'm convinced it starts with leadership and how we show up and how we engage the people we're trying to influence. Gail Davis: I know that one of your chapters in your book is 'Lead By Example'. How important is that? Mike Abrashoff: There can be no daylight between what you do and what you say because everybody is watching you. For example, if I [00:03:30] walked down the passageway and saw trash on the deck I'd bend over and pick it up. I guarantee you in the history of the Navy no captain has ever picked up trash off the deck, but if I walked past it, it would send a signal that I approve of it. What you condone is what you approve and you send a signal that we can get by doing just a little bit less. What I wanted to do was to raise the standards and show everybody if you see something that's wrong, don't [00:04:00] walk past it, fix it and take ownership. Kyle Davis: I remember, and I'm really kind of absolutely going to ... I forgot the coach's name but he was the former coach of Notre Dame and he was coming to my high school to talk to a few football players on my team about going to play football there. I remember him walking down the hallway with my head football coach. The two of them are walking down the hallway and all of a sudden, [00:04:30] I wish I remembered this guy's name, he bent over and picked up trash that he saw in our hallway at our school. Everybody was like, "Why'd you do that?" He was like, "Well, you know, can't have trash." It made like an impact on everybody, even the coach that I had that was like a real father figure to me. Mike Abrashoff: You remember it to this day? Kyle Davis: Mm-hmm (affirmative). Yeah. Mike Abrashoff: I'm sure when you walk in somebody else's business or in a restaurant if you see trash you kind of think, "Gee, their standards aren't the [00:05:00] standards that I've seen in the past." Gail Davis: You know, another thing that you talk about, or I believe it's even a chapter in your book is the climate of trust. I remember that the distrust of your predecessor was so high, if I recall correctly, they like almost celebrated when he left. When it's that bad, how do you shift things and create an environment where people trust you? Mike Abrashoff: It [00:05:30] was that bad. They actually stood and cheered when he left the ship for the final time. I was totally embarrassed and horrified at the same time. In that moment, it hit me: Before I can ask them to change, I need to change and that I need to become a better leader. That's when I started putting myself in their shoes and viewing the operation through their eyes. I'll never forget, a sailor, I asked him [00:06:00] why we were here and he says, "Well we're here to get the captain promoted." I'm here thinking, you know getting the captain promoted would be a great thing, but that's not why we're here. We're here to stay safe. We're here to keep our fellow citizens safe. What happened was, there was no connection to what they were doing to our purpose and so I put myself in their shoes and then tried to connect with them about what our purpose is and their role in it [00:06:30] and how it's going to keep us safe and how it's going to keep our fellow citizens safe. I found that 50-60% of my job was effectively communicating. Everybody complains about millennials today, and I kind of laugh because guess what? Gail, your parents and my parents complained about us. Mike Abrashoff: They said that we were worthless and we would never amount to anything. The millennials are going to be just fine, it's the challenge of how do you engage them on their terms [00:07:00] so that you can get them to have a sense of urgency and a sense of ownership and you can't order that by sitting in the captain's chair, you've got to be out and about. It's hard work, but if you get it right it's awfully rewarding and that's where the satisfaction comes from. Gail Davis: How old were you during the time that you had this responsibility? Mike Abrashoff: I was 36 years old. Mike Abrashoff: I used to lie awake at night wondering if the taxpayers knew what a mistake the Navy made putting me in charge of this [00:07:30] 1.2 billion dollar destroyer because as the events of the USS Fitzgerald a couple of weeks ago show, it's a serious business and it's a very dangerous business and the captain is responsible 24/7. Whether I'm asleep in my cabin, I'm responsible. Whether I'm off the ship, I'm still responsible. One person or a small group of people letting down their guard [00:08:00] can lead to tragic consequences. It's very serious and you tend to grow into the role. I was terrified when I took it, but once I realized the results we could achieve by engaging my 310 shipmates and getting them to have a sense of ownership and getting them to have a sense of urgency, they helped lift burdens off my shoulders [00:08:30] and so I was able to sleep better at night. Those leaders who don't get it have tremendous burdens on their shoulders. The way to share that responsibility is to empower your people and to engage them and I'm convinced they'll rise to the occasion and help you out. Kyle Davis: ... Leadership or command style was the captain prior to you and then when you made that pivot into empowering your people, how long did it take and when did it start getting traction? Mike Abrashoff: The military invented command and control leadership, telling people what to do and how to do it and giving [00:10:00] orders. You know what? It used to work. When I graduated from the naval academy in 1982 I was sent to a ship that was very rudimentary and we only had to carry out one mission area at any one time and so the captain could direct that and control it. Fast forward to USS Benfold, which today costs probably 2.4 billion, we have to do six or seven mission areas all at the same time with 35% [00:10:30] fewer crew members than we had on that single mission ship back in 1982. The technology is forcing us to up our game. If we focus on one or two mission areas, we can probably do reasonably well but the other five or six are going to fall apart. Our job is to get all the missions accomplished at the same time to the best of our ability. Being a one man show doesn't work anymore, especially [00:11:00] with millennials. They don't want to be barked at. They want to understand why, they want to know what the purpose is and they want to know what's in it for them. Leaders in today's environment, both military, government and business, have to up their game in connecting with them. I forget the second part of your question, Kyle. Kyle Davis: Basically, when you came in and the previous leader was probably more of this command control [00:11:30] captain of the ship and then you transitioned into this empowering your people and giving them ownership over their role and then having them then take ownership of the ship, what was that like and when did you start to see traction in that endeavor? Mike Abrashoff: The whole crew thought it was going to be the flavor of the month and that something bad would happen and I would revert to the old style. It took me months [00:12:00] to build up that trust. The thing that crystallized it was, I'd been in command about three months. We had left San Diego. We're on our way to the Middle East and we're doing a major exercise with two other ships. The exercise was designed to increase our ability to defend ourselves. The exercise was supposed to be over the following Friday afternoon at 5 p.m. at which point we were to enter Pearl Harbor for a night in Waikiki. [00:12:30] The way we enter a port in the Navy is by the date of rank of the senior officer on each ship. I was the junior guy by date of rank and I was the youngest captain by age so we would always go in last. That Friday morning the exercise was unexpectedly over at 9 a.m. We had achieved all the objectives. The admiral declared it a success. We're all sitting off the coast of Waikiki steaming in circles, wasting fuel because that's [00:13:00] what the plan called for. I remember thinking, "You know, this is stupid. Why don't we go into port? We'll get an extra half day in Waikiki." I called the captain of the senior ship where the admiral was embarked and I said, "Why don't you ask to go in early?" He said, "I can't, I've got an engineering problem. I can only fix it at sea." I called the captain of the second ship and he excoriated me on the radio where every sailor could hear, just berated me up and down, and said that we should go [00:13:30] in last. I picked up the phone and I called the admiral and he demanded to know why I thought Benfold should be allowed to go in before everybody else. I said, "Well sir, we're wasting fuel. We're wasting taxpayers' money. I've got a piece of broken equipment I could only fix in port." I said, "Besides, I want to put my crew on the beach early in Waikiki today." To my utter amazement, my hand was trembling as I was holding the radio handset appealing [00:14:00] to him and he said, "Permission granted." I was two decks above the operations center where 30 sailors were on watch and when the admiral said, "Permission granted ..." I could hear cheering through two decks of steel. We have four engines on this ship and our normal configuration is only to steam on one engine because it's our most fuel efficient. We can do up to 18 knots on one engine and so everywhere we go, unless it's an emergency, we're programmed 18 [00:14:30] knots or less. You can do 24 knots on two engines and use twice the amount of fuel, you can do 27 knots on three engines and you can do 31 knots on four engines. When the admiral said, "Permission granted ..." I put all four engines on line, came up to full power, entered Pearl Harbor at full speed and when my ship is at full power, it is so powerful it kicks up a rooster tail of water that's two stories high. [00:15:00] Everybody knew we were screaming. We tie up at 10:15, crew's off the ship by 10:45 on their way to Waikiki. Never did save one drop of fuel that day. Next day, we get underway to continue our transit to the Middle East and by this time I had been interviewing every sailor on the ship, each one individually. It was my way of getting to know them and to set the [00:15:30] standards of letting them know that I don't care what your age is, I don't care what your rank is, I don't care how long you've been in this organization. You can come to work every day and challenge 241 years' worth of rules and regulations and customs and traditions and policies and procedures. I used these interviews to set the framework of what I expected of them and what they could expect of me. [00:16:00] The first sailor that morning came in and said, "Captain, can I ask you a question?" I said, "Sure." He said, "It seems to us, the crew, that you don't care if you ever get promoted again. I said, "What on earth are you talking about?" He said, "What you did for us yesterday, you had nothing to gain, you did it for us, we want you to know we got your back." When you create trust with your crew, the sky's [00:16:30] the limit. When your people have your back, there's nothing that you can't accomplish. It was an accident of how I created it, but that was a signature moment that the crew knew that we were going to do business differently and that I meant what I said, that we own this. Kyle Davis: I think that's an awesome story. Gail Davis: That is an awesome story. I read somewhere that someone said that what you did is like the ultimate of [00:17:00] organizational transformation. I wonder how it differs turning a crew who all lives together on a ship, turning that around, what the challenges are versus a typical business setting. It's got to be tougher, I would think, being out on a ship together. Mike Abrashoff: It's different. Out of a 24-month commanding officer's tour, we're probably at sea 11 months but the other [00:17:30] 13 months we're sitting at the pier in port and we go to and from work every morning and leave every afternoon just like every other worker in America. In that regard, in some instances, it's no different than being in an office park somewhere. Being at sea for six or seven months at a time, one of the birthing compartments on the Fitzgerald that was ruptured had [00:18:00] housed 106 sailors in one birthing compartment. You're sleeping in bunk beds that are triple high, so it's not two bunks, it's three bunks. Even though you are close, and I've got more direct access to people, that closeness also creates tension because you have zero personal space. People always looked at me, and looked for the differences, [00:18:30] "Well you had the crew within 505 feet of you." That's true, but that also presents additional challenges that we have to deal. No situation is alike and one is not better than the other, it's understanding what they are and then how to deal with them. Kyle Davis: You mentioned the USS Fitzgerald and we were talking about it prior to going to record and I understand that you had a family member that was on there. Maybe, how about this: If you could kind of give a [00:19:00] little bit of insight as to what happened and then maybe opine off of that. I think that would be beneficial for those who maybe don't know what we're talking about because it has been a couple of weeks, and also I think it would be great to shed some light on that. Mike Abrashoff: It was the destroyer that was in a collision with the Filipino freighter off the coast of Yokosuka, Japan, which is right by Tokyo. To be fair, it is some of the busiest shipping traffic [00:19:30] in the entire world. I remember being there as an ensign. I'm 21 years old and I'm the officer of the deck and all you see are ships all around you and it's three in the morning and the captain's asleep and I'm here cursing him like, "What are you doing sleeping? You should be up here helping me." It is very harrowing. It is very challenging. The ship had just gone through [00:20:00] a lengthy overhaul where they were in port six or seven straight months. Coming off that your crew is rusty, personnel may have even changed out. They haven't operated together as a team and you're in busy shipping lanes. In that situation, and there were nights on Benfold when I slept in my chair on the bridge because you had [00:20:30] to be there. You have to have a sixth sense of when danger is about you. I'm not going to say that I would have been in my chair sleeping that night the Fitzgerald had their accident, but in similar situations on Benfold I was always in my chair all night long, getting woken up every 15 minutes to give guidance and to give experience to people who have never seen this before. When I [00:21:00] first saw the pictures of the Fitzgerald, I knew right away that the Fitzgerald was at fault. Of course, the investigation hasn't come out and it may come up with some extenuating circumstances, but just like we have rules that guide us when we're driving, like stoplights and stop signs and yield signs, we have something called international rules of the road that dictate how ships maneuver based on their relative position to [00:21:30] one another. Based on where the freighter hit the Fitzgerald, it was immediately obvious to me within like the first two seconds that the freighter is what's called the stand-on vessel where they have the right to maintain their course and the Fitzgerald is what's called the give-way vessel and they're required to maneuver to avoid the collision. Right off the bat I could tell that [00:22:00] absent being in a restricted channel, which has its own rules, and the open ocean, my armchair analysis is that, and without having benefit of any of the data, just by looking where the impact was, that the Fitzgerald was at fault. Kyle Davis: I know that there were some issues with regards to when it was called in. I think it was the communications [00:22:30] area that was taken out and everything else and it was like an hour later that the Japanese coast guard was alerted. What is the captain of that ship going through during that time? Is it like, "Everybody to their battle stations. Let's go!" What's happening during that period of time. Mike Abrashoff: The captain was injured in the collision. The captain's cabin is right there where the bough of the freighter hit. He [00:23:00] sustained a head injury, I don't know how serious, so he was incapacitated. The first thing that you have to do is to tighten all of the watertight hatches on the ship so that the flooding doesn't spread to the rest of the ship. Every space, every 10 or 15 feet there's a watertight hatch or door that you close [00:23:30] to keep flooding from spreading to the rest of the ship. I suspect that what happened was, there was a birthing compartment right where the Filipino freighter hit and they tried to evacuate as many people as they could but at some point the water was starting to come out the hatch and they had to close it with sailors still in the compartment in order to save the rest of the [00:24:00] ship. Kyle Davis: I guess as a non-military person, what's that decision like? You always hear, "Everybody comes home ..." and obviously the bodies were found, but what's that decision like to save the ship in that instance? Mike Abrashoff: Fortunately I've never had to make it so I can't tell you. Kyle Davis: Okay. Fair enough. Mike Abrashoff: I can tell you that what drove me every day [00:24:30] in everything that I did was to ensure that I never had to write the letters to any parents telling them that their sons or daughters weren't coming home. It's something that ship captains take personally and take seriously and so what drove me wasn't my next promotion, what drove me every day was putting ourselves in a position to control our own destiny [00:25:00] and win overwhelmingly if we ever got called into combat. The day I took command, that ship was not in the position to control its own destiny. You're never perfect, you're never satisfied, but with that crew taking ownership I'm convinced we would have been able to face any situation that was thrown at us, and survive. Kyle Davis: I believe you. I am curious, though. When it comes to the Benfold, [00:25:30] I'm looking at the pictures right now, what was the mission set for the Benfold? You said it was a Pacific fleet as well? Mike Abrashoff: Yeah. It's based out of Yokosuka, Japan where the Fitzgerald is based. At the time it was based out of San Diego. We periodically rotate our ships to and from Japan. It had six or seven missions. We carry Tomahawk cruise missiles that we can launch at six targets ashore. We have [00:26:00] guns that we can use to support Marines as they land on a foreign beach. We have sonar and anti-submarine warfare capability. We have missiles that we can shoot down incoming aircraft and other missiles. We can search the electromagnetic spectrum looking for enemy signals and communication so that we can intercept them. While the ship is at sea all those missions are going on, or can be [00:26:30] going on. Kyle Davis: It really is kind of like a Swiss Army knife of Navy vessels. Mike Abrashoff: I've got a helo deck and my ship didn't carry helos but I can land them, refuel them and control them and vector them to where the submarine is or search and rescue mission or whatever, so yeah it's a Swiss Army knife. When you wake up in the morning, you never know how the day [00:27:00] is going to play out because it's changing every day. Kyle Davis: I think that's super cool. I have a lot of my friends ... A lot of my friends in the military were Army and Marines so if you were in support of like, and you, you probably had a bunch of Marines that were, at least later on my friends probably were there. Most of my friends were in the Navy but those that were, almost overwhelmingly they were all like submariners so they're all a little bit off. I think you know what I'm [00:27:30] talking about, but they're just a little bit weird. Mike Abrashoff: In their defense, they're also ... Seriously, they're also the smartest sailors. Mike Abrashoff: They have the highest academic achievement because of the complexity of their submarine is so great. They are conditioned to religiously and blindly follow the manual no matter what it says. [00:28:00] They can do that to a 'T' but sometimes if you put them in a situation where they have to react and think outside the box of something that's not in the manual, they don't have that particular training because the submarine force doesn't value that type of thinking. Kyle Davis: Yeah, I'm just thinking of two of my friends, and I'm going to have to send this podcast to them later, but that were in the Navy in the submarines and [00:28:30] they were both 18, 19, 20 years old, like right around there, and they were operating the nuclear propulsion system and fixing it whenever it went down and I'm just sitting here going, "What was I doing at 19? I was selling knives." Mike Abrashoff: Well, and you know what? They're smart and they work long, hard hours and I don't take anything away from them. Gail Davis: Right there we have a problem. Gail Davis: Tell us a little bit about life after the Navy. What has Mike Abrashoff been doing since he left the Navy? Mike Abrashoff: I got [00:29:30] featured in Fast Company and it because the number one reader response article in the history of Fast Company magazine. They asked me to come speak and I had never spoken in public before. I followed Tom Peters as a keynote speaker and I got three standing ovations, 150 people lined up to shake my hand. In the audience was a professor from UCLA who ran a program one weekend a month for the poorest performing principals and administrators of the [00:30:00] LA Unified School District. He called me up and said, "Mike, will you participate in this program? I can't pay you anything, but will you come to LA one Saturday a month and participate?" I found out that I loved leadership development. I found that I loved helping others realize greater potential. Through this professor I got asked to speak at the Harvard Business School and the Stanford Business School. My mother, who is now 95, e-mailed me and said, "What's it like speaking [00:30:30] at institutions that would never have you as a student?" I found out a new calling in life and that was leadership development and that's what I've been doing for the last 17 years. About six years ago I teamed up with a wonderful lady from Philadelphia, her name is Stacey Cunningham, and on her motivators that we were talking about earlier, she is theoretically motivated and she developed [00:31:00] a neat leadership journey based around my story and my beliefs. We created a leadership roadmap of what you need to do to drive team performance. We recently broke this up into 15- or 20-minute segments where you get an alert once a week that asks you to do something like interview your people [00:31:30] or read this article or watch this video. It's basically a six-month virtual program that gets you to think differently about leadership and that prods you to do something experiential once a week. We have been getting fantastic results from this program. That's what my new journey is, is to bring not just a keynote [00:32:00] speech but also sustainable programs to implement this leadership approach in organizations. Gail Davis: It's really ironic, literally ten minutes before we started recording this I was talking to a client and she was describing that she currently doesn't have a manager, that he left the position because he wasn't effective at all and she said, "You know, we had talked about a keynote speaker. [00:32:30] Maybe there's still room for a keynote speaker but I really am going to need somebody to come in and do almost a workshop, who can really show this whole group how we can turn this around." I was like, "How ironic. Let me tell you about a podcast I'm getting ready to record." I think a lot of times, of course I love the keynote, I've been doing this for a long time, but a lot of times there's a need for a deeper dive into more of the 'how to' [00:33:00] for sure. Mike Abrashoff: Exactly. My partner, Stacey, says I get people motivated and inspired and then this program gives them the 'how to'. What we do is pair you up with one or two other people in your organization so you go through it at the same time, the theory being that just like when you go to the gym, if you go to the gym with a workout partner you typically work out harder. If you go by yourself you say, "Oh, I'm not feeling like doing [00:33:30] this today ..." and you go home and get something to eat. Kyle Davis: That's why I do Crossfit. Yeah. Mike Abrashoff: Right. Exactly right. What we've created is Crossfit for the corporate world. Gail Davis: Oh, that's a great description. Kyle Davis: Boom. Crossfit for the corporate world. Gail Davis: Seven different motivators. Mike Abrashoff: [00:34:00] As part of our consulting, we've focused on three different things: What your behaviors are in the organization. What your thinking style is. What your motivators are. There's no right or wrong thinking style. There's no wrong or right motivator. It's who you are, it's how you're wired. What this helps you do is to become more self-aware and then it can help you, if you know what motivates [00:34:30] your people, it can help you connect with them better. One of the seven motivators is economics. Economics is not only money, but it's also efficiency and on this assessment I'm off the chart on economics because when I see something that's inefficient it drives me nuts. The second one, and typically you're powered by your top two motivators, and my second motivator is political, I like [00:35:00] influencing people. You can be aesthetically motivated. You can be altruistically motivated. You can be theoretically motivated, like my partner is. You can be individualistic. How you put together a team, if I had a partner who had the same motivators as me, we might not be as [00:35:30] good as Stacey and I are because we're different and we complement each other. The key is to, in a scientifically valid way, understand your team's motivators so you can connect with them better. In my own crude way, when I was in the Navy I found this out when I interviewed sailors. I was interviewing a sailor one day and the ship had started to turn, everybody was happy, they were smiling, their attention was [00:36:00] up, performance was up. Very arrogantly I said to him, "How do you like the new Benfold?" He said, "I hate it. I hate the Navy. I can't wait to get out." He had two years left on his contract and he was a great electronics technician. I said to him, "Well if you continue to perform, when you get out I'll give you a great job recommendation. You can get a job in the electronics field paying 70, 80, 90 thousand a year." He said, "I hate [00:36:30] electronics. I'll have nothing to do with it." I said, "What do you want to be?" He said, "I want to be a social worker." I literally laughed in his face. My father was a social worker and my father made 13,000 dollars a year. I said to this kid, "But social workers don't make any money." He said, "Captain, I spent my whole life in and out of foster homes." He said, "I don't care how much money I ever make, I want to make sure that what happened to me doesn't happen to any other child in this [00:37:00] country." I'm dumbfounded. I literally did not know what to say. I ended the interview. I called him back up to my cabin two weeks later and I said, "Here's the deal. I want you to find the worst performing elementary school in San Diego county, figure out what it needs and come back and tell me." He comes back two weeks later and said, "Captain I found the school. It's in the Barrio." I said, "What does it need?" He said, "It needs to be painted." I said, "Here's the deal. If you round [00:37:30] up shipmates to help you, I'll buy the paint." My 19-year-old social worker rounded up 50 shipmates. Now these are kids who didn't start out life at the top rung of the economic ladder. They painted that school and they enjoyed it so much they adopted it and after work these sailors would go over to the school and mentor elementary school students until their parents came and picked them up. I leave the ship [00:38:00] and this social worker has like eight months left on his contract and I keep in contact with about 200 of the 310 sailors on that ship, but I never knew what happened to my social worker. Last summer I asked my retired command master chief to put out a Facebook all points bulletin on him to find out where he is 'cause I wanted to talk to him and see what became of him. It turns out he never left the Navy. Today he's a senior chief petty officer [00:38:30] doing extraordinarily well, loves it, and one of the reasons was we gave him an outlet that allowed him to put his altruism to work and as a result he was happier on the job and he stayed longer. Say you're in business, you have this great technician who works for you, you don't know anything about him or her and you say, "Oh, I'm going to give you $20,000 more a year ..." and they're going [00:39:00] to say, "Screw you. That's not what I'm looking for ..." and they're going to leave you. 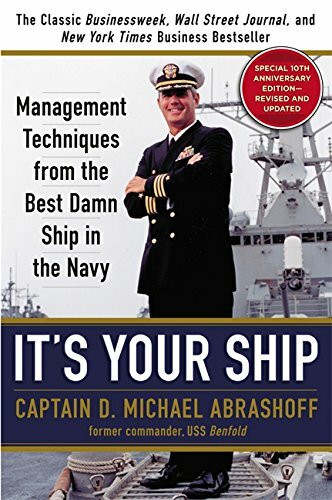 In my own crude way I tried to find out what motivated my sailors so that it enabled me to connect with them better and as a result they performed better and stayed longer in the organization. Through this motivational assessment we can do this a lot quicker, like in 15 minutes, and then you can use that data not only for your own self-awareness but also for the awareness of your team. Mike Abrashoff: No. The thinking style, there are three basic thinking styles. It was developed by a Holocaust survivor by the name of Robert Hartman who amassed mountains of data on what [00:40:00] causes people to be evil. From this data, he and his students figured out that there were three thinking styles: One is your task-oriented, one is your big picture oriented and the third one is your people oriented. The key is to understand what your thinking style is, and there's no right or wrong thinking style, it's how you're wired. Most people are two out of the three. For example, [00:40:30] I'm big picture and people oriented and everybody who knows me chuckles and they say, "How did that ship ever leave the harbor with me as the captain ..." because I can't do anything on my own. The answer is, if it had to come down to me to get the ship underway probably couldn't have done it, but I know how to harness people who are task-oriented to get them to do it. The mistake that organizations [00:41:00] make is they have a great technician who is task-oriented and has blind spots when it comes to people, and they put that technician in a management job because they're a great technician and they're blind to ... They have no empathy for people and as a result they can end up doing more harm in a management position than in their technician role. This assessment [00:41:30] helps leaders understand the thinking style of their people so that they can reduce risk when hiring and promoting and putting the right people in the right jobs and grooming them. If you have a good task person who's also people-oriented, that's the type of person that you want to invest in leadership programs and groom them for increased positions of leadership [00:42:00] and responsibility. This assessment can help you reduce your risk and find the right people to put in the right roles. Thirdly, the behaviors. I worked with a chief operating officer of a company who was very professional, got great results and the company paid him two million dollars a year. He was miserable. It was [00:42:30] because he was having to adapt who he was to the management committee of five or six people. He was afraid to ... He didn't know where he stood with them and so he was always having to adapt his behaviors to what he thought they were looking for instead of being his own natural self. The behavior assessment [00:43:00] can determine if you're adapting away from who you are naturally, and research has shown that if you have to adopt to be somebody you're not, you're going to be unhappy in your role. It wasn't until this guy saw this on the chart that said, "That's why I'm so unhappy at work ..." and then he confided that he and his wife were on the verge of getting a divorce and he said, "I'm bringing it home with me as well." It helped him [00:43:30] with that understanding and self-awareness, develop a new way to deal with his management committee so that he didn't have to adapt so much and it enabled him to repair the relationship with his wife at home. Kyle Davis: Well there you go. Gail Davis: That's great. I've loved this Mike. You're such a great leader. Thank you for your service to our country. You're so humble and I love the fact that you've taken those lessons and you're out just helping the average Joe Blow that's just trying to keep [00:44:00] their team on track. It's really full circle and it's great to be a part of helping you get out there. Mike Abrashoff: The great thing for me is I get to choose who I work with and Gail Davis Associates are the best in the business sand I love you and I love working with you and your team. We've had a great run and I look forward to continuing working with you. Kyle, welcome aboard. I'm going to be doing an assessment on what you think your leadership team is like at GDA and how we can [00:44:30] improve their leadership skills. Kyle Davis: That'll be fun. Gail Davis: That'll be great. Mike Abrashoff: Do you think she'll listen, Kyle? Gail Davis: Yeah, that's an after work conversation sometimes. Kyle Davis: Yeah. Not going to happen. Gail Davis: No, I'm learning. I'm learning. Kyle Davis: I'm messing with you. Kyle Davis: I had a good time. To all the submariners out there, don't kill me. Other than that, if you would like to book [00:45:00] Mike Abrashoff to come speak at your event, you can do so by contacting Gail Davis and Associates or GDA Speakers at 214-420-1999 or by going to gdaspeakers.com. For the transcript, the book and everything else you can go to gdapodcast.com for that. Other than that, wow there's a lot of that's, that, that. Yeah. I need to learn to speak maybe. Maybe we could talk about that. Gail Davis: Thank you Mike. Kyle Davis: [00:45:30] Thanks Mike. Mike Abrashoff: Thank you folks. Have a good day. Sign up with your email address to receive news and updates from GDA Podcast.